Microsoft introduced blockchain based Digital Identity Hub and Wallet products. Microsoft is quietly and sincerely building decentralized and blockchain based systems that are slowing going to be introduced to the world. Microsoft has quietly introduced two of these blockchain based products are Identity Hub and Digital Wallet. Microsoft is quietly and sincerely building decentralized and blockchain-based systems that are slowly going to be introduced to the world. Microsoft has quietly introduced two of these blockchain based products - Identity Hub and Digital Wallet. 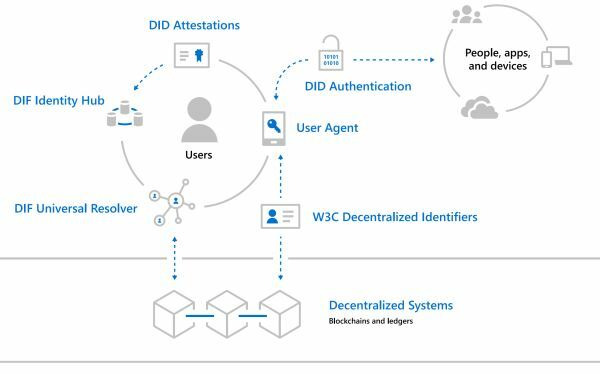 Digital identity is being built upon the open blockchain standards, the foundation of decentralized identifiers (DIDs), a specification developed by the World Wide Web Foundation (W3C). 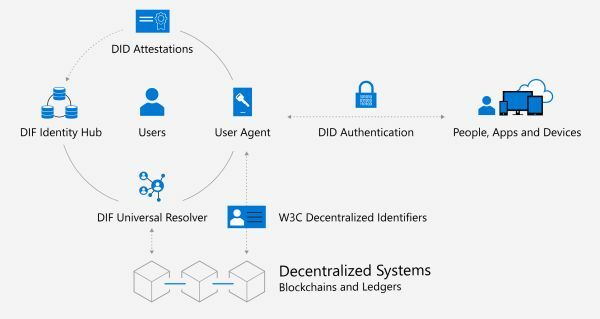 Microsoft’s whitepaper titled Decentralized Identity details the goals and plans of Microsoft to build a digital identity based on the blockchain. Over the past 18 months, Microsoft has invested in incubating a set of ideas for using blockchain and other distributed ledger technologies to create new types of digital identities—identities that are designed from the ground up to enhance personal privacy, security, and control. We aspire to make DIDs a first-class citizen of the Microsoft identity stack. Over the next few months, we’ll provide detailed specs, and, where appropriate, make public code contributions to DIDbased technical components, including performance and scale improvements and new tools for DID recovery. Our goal is to help bootstrap this new DID ecosystem by standing up key infrastructure that users and the developer community can depend upon. How does Decentralized Identity work? Today, the digital representation of a user’s identity is a mix of data fragmented across many apps and services. A new form of identity is needed, one that weaves together technologies and standards to deliver key identity attributes—such as self-ownership and censorship resistance—that are difficult to achieve with existing systems.